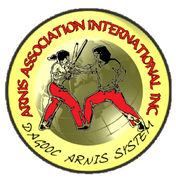 Become a part of the Arnis Association International Inc. founded by Grandmaster Rodel Dagooc! 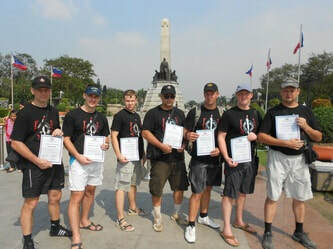 GM Rodel Dagooc founded the Dagooc Arnis System, where he devised all the techniques to equip students with effective knowledge so they can master this unique system of self-defense. Smoking Sticks was also founded by GM Rodel Dagooc where students are taught the basics of stick-fighting and fight science using various weapons. Seminars, exhibitions and tournaments are regularly conducted among exponents to share the latest information about Modern Arnis. When a student grasps proficiency in a specific set of techniques and applications, he shall be commended for a promotion, grade, degree and honorary title. Members will get 5% Discount in all merchandise being sold at the Smoking Sticks website. Discounts will be granted to members who decide to enroll themselves in our state-of-the-art training programs. If you are an individual, club or organization who wishes to get involved, please download the form, fill out, and email it to smokingsticksph@gmail.com and we will get in touch with you the soonest possible time.